Aged Care Complaints Commissioner Rae Lamb says complaints are something to be valued. Most of the time people will be happy about the care provided, or have a good enough relationship with the provider that they feel they can address any issues that may arise. But sometimes people’s expectations are different from the care they receive and communication has broken down. Or a person has tried to address concerns but doesn’t feel heard by a provider. Would you speak up? And would you know how to go about addressing a complaint about the aged care service you are receiving and who can assist you? Since 1 January 2016, Complaints Commissioner Rae Lamb is the face of a new independent complaints program that helps people to address their concerns about aged care. She has a whole team of people assisting her with the job. The Commissioner has offices in seven cities across Australia, and when contacted through the website or by calling the national 1800 550 552 number, you’ll be directed to the one closest to you. The service is free and Australia wide. A government backed aged care complaints mechanism is not new, but until the start of the year the former Aged Care Complaints Scheme was part of the Department of Health's broader aged care portfolio. To address potential concerns about the former Scheme's independence, the government decided to separate complaints handling from the department's funding and regulatory role. Responsibility was handed over to Ms Lamb as an independent statutory office holder. “People can have absolute confidence that when we’re looking at complaints, we’re looking at them very much on their merits and without any conflict. It’s absolutely fair and impartial,” Ms Lamb stresses. Concerns can be about anything related to aged care but the top four issues the Complaints Commissioner comes across are health and personal care, consultation and communication, physical environment and personnel. “Traditionally we see fewer complaints about home care than residential care. Residential care is the big area, however we are seeing a small increase in the number of complaints about home care,” says Ms Lamb. Retirement villages are not part of the Complaints Commissioner’s scope because they’re not funded by the Australian government. But if someone is receiving residential care or home care while living in a village, complaints about those services can be dealt with by the Complaints Commissioner. Ms Lamb encourages people to speak up if they are unhappy and have their concerns addressed. And whilst the Aged Care Complaints Commissioner is there to help anyone - residents, family, staff or third parties - with their concern about a Government funded service, she encourages people to try and deal with it directly with the provider in the first instance. 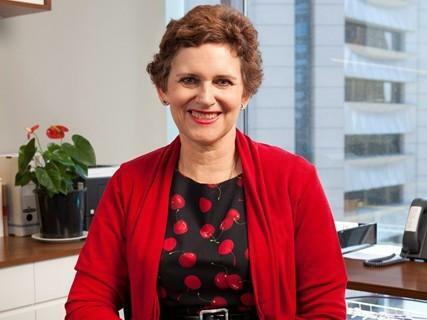 “I know that’s really hard and can be scary, but I’ve been doing this kind of work for a long time now, and in my experience early and direct contact between the parties is actually the best time to get results and get it sorted out,” Ms Lamb says. People who feel unable to do it on their own can also contact free aged care advocacy services around Australia for help and advice. “An advocate can be a half way measure for people to try and sort it out directly. That gives a better chance of a good result than leaving it to escalate. By the time people come to us, usually it’s become much more difficult to get a good result. Relationships may have broken down and communication can be an issue,” Ms Lamb says. But Ms Lamb stresses that people who don’t feel comfortable or are unable to deal with concerns themselves should absolutely contact her. She says that most people who have cause to make a complaint don’t. This is particularly in areas such as health, disability and aged care services where there are high stakes such as ongoing care needs and a dependence on the service. Some people are scared to speak up, or worry about the implications if they raise a concern. Ms Lamb explains that it is possible to make confidential or anonymous complaints to the Complaints Commissioner, however this can make it harder to come to a clear solution. “Anonymous complaints make it difficult for us to verify the information, we can’t go back to the person to check stuff or seek further information," she says. People who don’t want to be identified are encouraged to at least make a confidential complaint because it means they can be involved in the process and, importantly, they will get feedback on the outcome. As the Complaints Commissioner Ms Lamb has a range of powers for dealing with complaints. The focus is on resolution and a lot of cases are dealt with by working with all parties. This can be through facilitated meetings, informal or formal conciliation or service provider resolution where the provider is asked to address the issue and the Complaints Commissioner will assess what the provider has done before deciding whether to take further action. Ms Lamb and her staff also have the ability to do a formal investigation. Where there are serious matters of concern which are not being sufficiently addressed or require urgent action, Ms Lamb can issue formal directions to a service provider requiring certain action. At any time, she can also make referrals to the Department for consideration as to whether to take compliance action against a provider, and to the Australian Aged Care Quality Agency that looks after the accreditation of facilities and the quality review of services delivered in the home. Ultimately, if the Complaints Commissioner sees something of major public concern, Ms Lamb has the ability to raise it with the Minister of Ageing. Much of providing good service is about good communication, good relationships and good information and Ms Lamb says complaints can be valuable for service providers. “Having no complaints isn’t necessarily a good thing. It can actually be a sign that a place doesn’t have a very good culture and that people are too scared to speak up. It gives the impression it doesn’t encourage and embrace complaints, or people speaking up about the things that need fixing,” she says. One of the things older people can do is to make sure they know their rights and responsibilities before going into care. Ms Lamb advises people to be proactive and find out where they can go with concerns and complaints and how an organisation deals with it ahead of time. “When people are entering into agreements or start entering services, that’s actually a really good time to have a non-confrontational discussion with an organisation about how they deal with any concerns that might arise. “Because no matter how wonderful a service is, there will be things people will want to question or ask about or have a concern about. “If you can have a shared understanding about how you are going to work together and how you are going to address things that come up before it happens, that would set in place a foundation to hopefully keep these things at a low level,” she says. And it’s not just solving complaints Ms Lamb is focussed on, she also has a clear mandate to look at providing education for both providers and service users around best practice in dealing with complaints and the matters arising from complaints. “It’s not only about making sure that complaints are responded to properly and dealt with well, but also working with service providers to ensure that the lessons from complaints improve care. “So many complaints are about the same thing, you learn things from them and we shouldn’t have to keep reinventing the wheel with every single one. There need to be processes by which this can actually improve care and services. “And not just for the individual but for other people as well. Because that’s the stuff people want when they make a complaint about anything. They want an apology and acknowledgement of what happened, an explanation, having it fixed and to know that it’s not going to happen again to anyone else,” Ms Lamb says. Contact the Aged Care Complaints Commissioner on 1800 550 552 or online on agedcarecomplaints.gov.au for more information or to lodge a complaint.